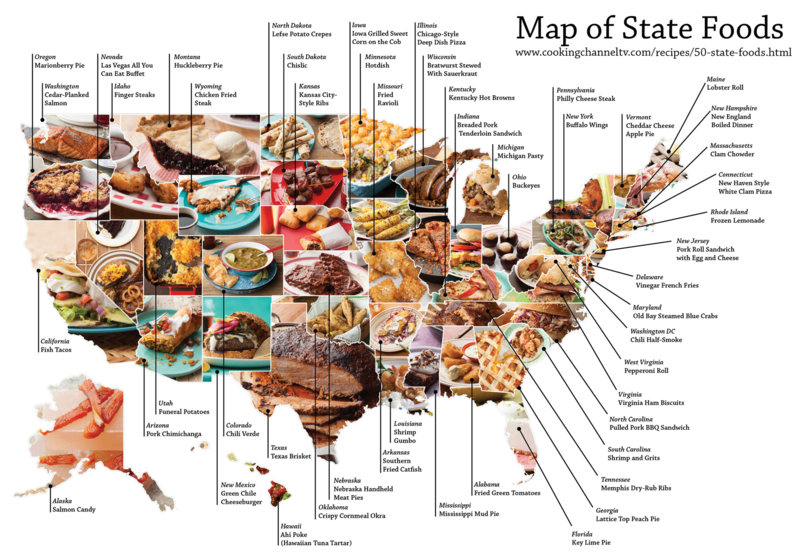 They claim to have polled their fans to figure out which food best represents each state. Having lived in Texas, Oklahoma, Arkansas, and Louisiana, I think their results were skewed by a vocal minority. I think Texas is right – brisket, whether cooked wet (with BBQ sauce) or dry (with a dry-rub) duly represents the state. Oklahoma is probably correct, but their recipe is definitely wrong. I’ve never seen fried okra served whole. I never ate fried catfish while living in Arkansas. Maybe it’s popular in some other part of the state. I would think Jambalaya would better represent Louisiana than shrimp gumbo. The folks here can’t even agree to a common style for gumbo with tomato-based dominating north of I-10 and roux-based in the south. 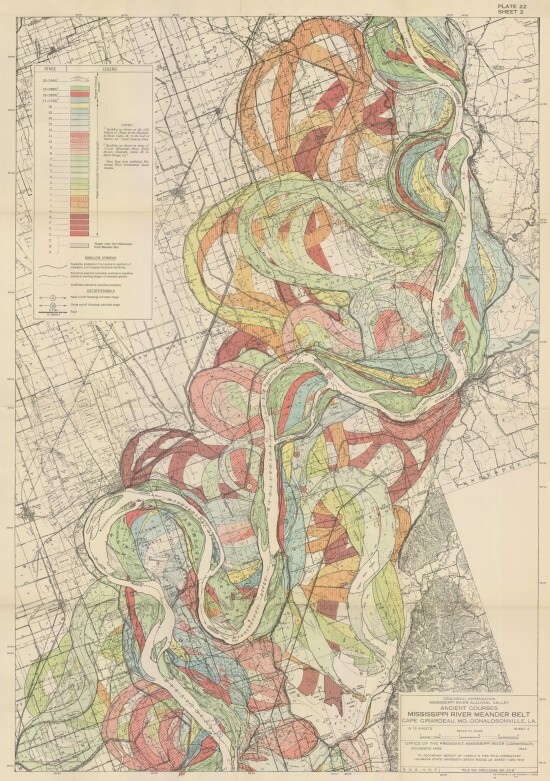 Why I-10? It runs east-west across the state and divides the state like the Mason-Dixon line divides the North and the South. 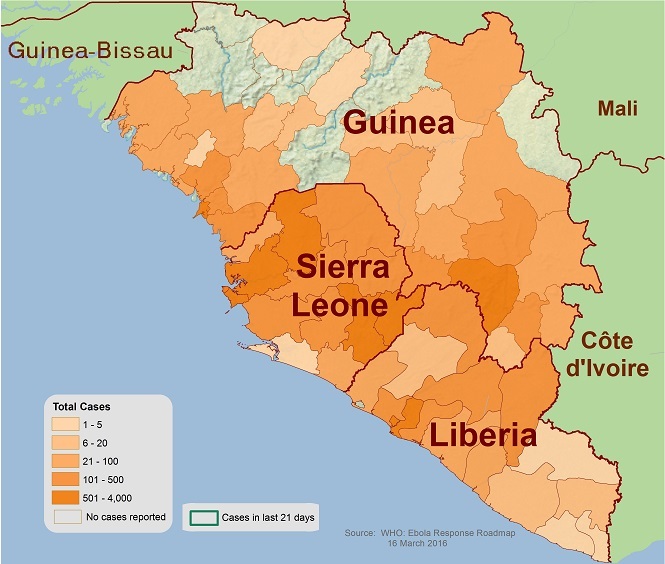 You won’t find this version of the map on their site any longer. Someone must have heard the outrage and pulled it down. By the way, if you haven’t figured out the error – take a close look at the labels for Kansas and Nebraska…. 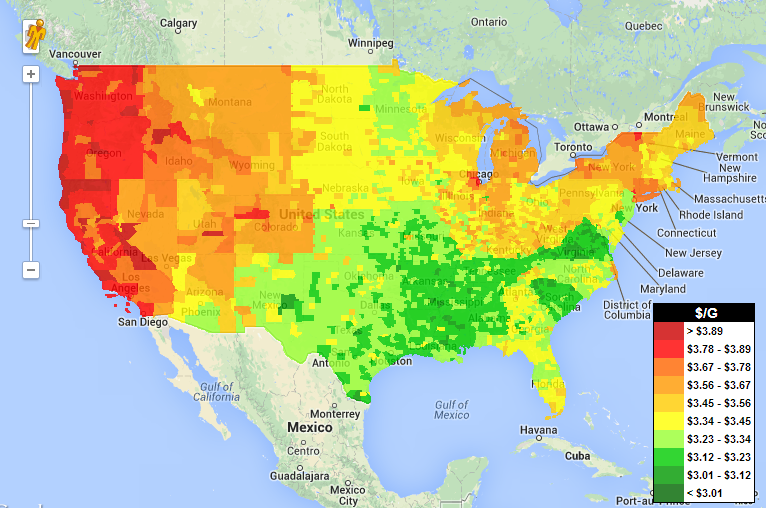 GasBuddy publishes a nifty map overlay for Google Maps which shows relative gas prices nationwide. 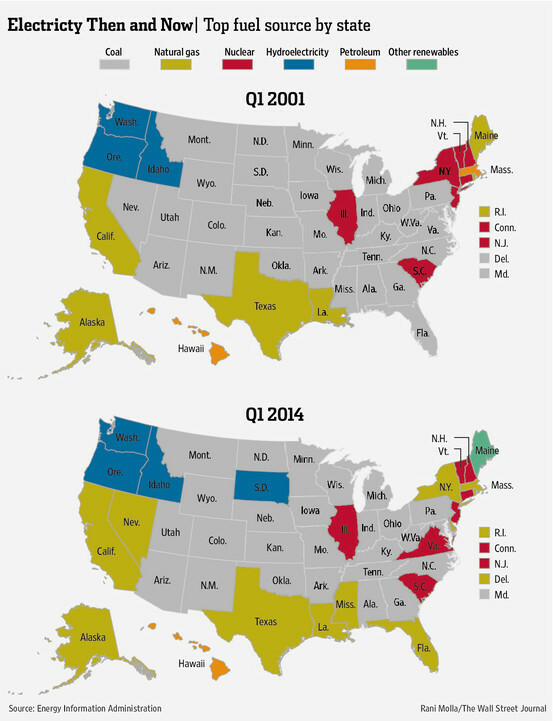 It isn’t friendly to color-blind readers, but it does show some interesting trends. 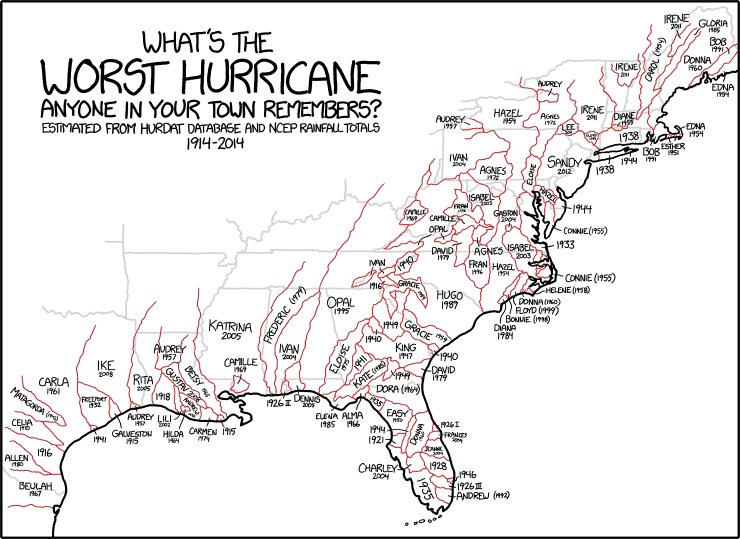 This map shows how hurricanes impact States where nearly 57% of the U.S. population (2010) lives. Some of the damage hurricanes cause is direct and easy to see – wind and flood damage are fairly obvious. Other damage may not be so clear. From economic damage caused by business interruption and population relocation to road damage from heavy equipment used during immediate and long-term recovery efforts, the impact of a hurricane may be felt for decades.